Next year will mark the fifth season that an Italian-flag cruise ship has made three cruises from New York to Bermuda in the autumn, while further north the same fleet will have been sailing between New York and Montreal for eight years. We also have a look this week at Cruise & Maritime Voyages, whose line-up has been undergoing some changes. And we examine the Queen Elizabeth’s most recent refit at Blohm & Voss. When we say that Bermuda, will be getting three calls in sequence this autumn by an Italian-flag ship, heads will be scratched with wonder. Possibly even so if we add that Bermuda will also be seeing regular calls by a ship bringing German tourists! And 2015 will be the fifth year that this has happened. All will be understood, however, when we reveal that that ship in question is the AidaLuna, a vessel that trades for the German-based Aida Cruises, but as part of the Costa Cruises Group is registered in Genoa and flies the Italian flag. Further north, AidaLuna’s sister ship AidaBella became the largest cruise ship to reach Montreal, when she arrived there on October 2, 2013. Both “Sphinx” class ships measure 69,203 gross tons and carry 2,050 passengers in lower berths. Both will be returning to New York this autumn, one to sail to Bermuda and the other to the St Lawrence, for a total of seven New York departures and two from Montreal before heading south for the winter. On August 29, 2014, the AidaLuna leaves Hamburg for a 15-night Transatlantic crossing, arriving New York on September 12. From New York, she will operate four 14-night cruises, three of which call in Bermuda, on September 17 and October 1 and 15. While the Germans will have the pleasures of visiting Bermuda, the Bermudians will be graced only with daytime calls and no overnights. AidaLuna first called on Bermuda on September 29, 2011, and has been making three calls each year since, meaning that 2015 will be her fifth year on this schedule. Where she has often had to anchor in the Great Sound and tender passengers in to Hamilton in the past, she will have a berth at Dockyard for all three visits this year. Some actually prefer the tendering as the ship’s tenders, supplemented by local ones, act as a sort of private ferry into Hamilton, whereas passengers berthed at Dockyard have to use the public ferries. Other calls on these Bermuda cruises will include Nassau, Miami, Port Canaveral, Norfolk and Baltimore. AidaLuna’s fourth New York cruise will depart October 25 for Baltimore, Charleston, Port Canaveral, Miami, Nassau, Ocho Rios, Santo Domingo and La Romana, where it will terminate. A 22-night version will carry on to Aruba, Curacao, Bonaire, Grenada, St Vincent and Barbados, where she is due on November 16. Meanwhile, sister ship AidaBella will also be performing New York cruises once again this year, but sailing north instead of south. She will cross the Atlantic from Warnemunde on September 4 on an 18-night voyage that arrives in New York on September 21. Starting on September 22, she will operate four alternating 10-night itineraries between New York and Montreal, calling at Boston, Bar Harbor, Halifax and Quebec, and returning on alternate cruises from Montreal by way of the same ports in reverse. Unlike Bermuda, which will just see the calls, Montreal will have two turnarounds. 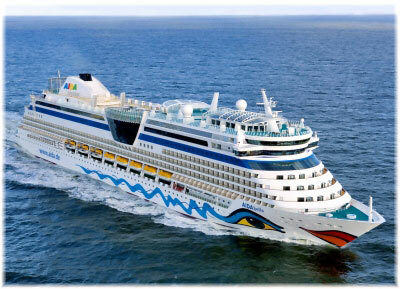 Aida Cruises has been calling at Montreal since 2008, at first with the 1,266-berth AidaAura and more recently with AidaBella. On November 2, the AidaBella then follows AidaLuna on the same 14-night New York to La Romana itinerary that her sister ship will have covered a week earlier, but with the extension to Montego Bay instead of Barbados. “Providing ex-UK no fly cruising holidays aboard smaller and medium sized classic and more traditional style ships” is how Cruise & Maritime Voyages describes its mission. Most recently, the company has announced a replacement to take over from the 710-berth Discovery in 2015. 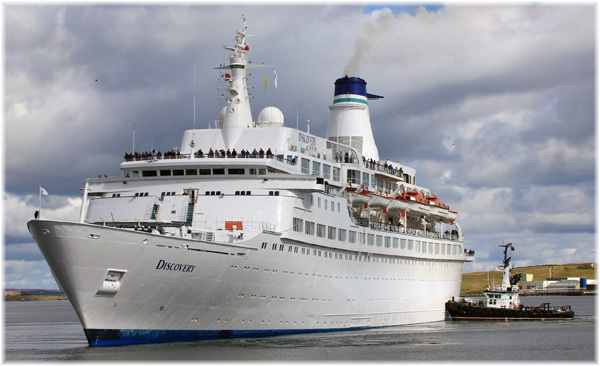 Discovery only joined Cruise & Maritime Voyages in February 2013 under charter from All Leisure Holidays, who also operate the 556-berth Voyager, the 380-berth Minerva and 50-berth Hebridean Princess. Discovery’s last voyage, an 18-night cruise, will leave Bristol’s Avonmouth docks on October 21 for Cape Verde, Madeira and the Canary Islands, after which she will be sold. Discovery’s replacement is the 550-berth Azores, which will be chartered from Portuguese operator Portuscale. The ship’s inaugural voyage, a 30-night cruise to the Caribbean, will leave Bristol on January 26, 2015. The Azores will sail variously from Bristol, Tilbury docks near London and Hull. She first entered service in 1948 as the Swedish American Line’s Stockholm, and has sailed more recently as Athena. She was completely rebuilt in Italy in 1994, and features a full bathtub in every cabin as well as a traditional wrap-around promenade deck. The Azores will carry almost a fifth fewer passengers than the ship she replaces, which was also the case when Voyages of Discovery replaced her with the Voyager in early 2013. 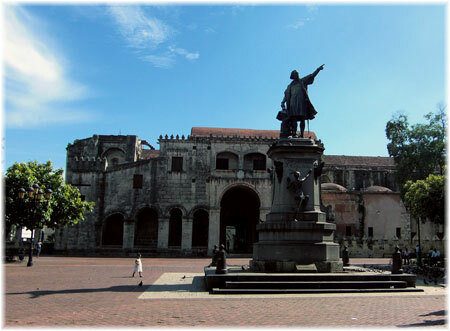 Cruise & Maritime Voyages also operate the 848-berth Marco Polo and the 590-berth Astor. Marco Polo will celebrate her 50th anniversary in 2015 with a special 36-night voyage to Canada, leaving Tilbury on July 24, 2015. This cruise will retrace this grand old lady’s Transatlantic service as Alexandr Pushkin, when she operated between Leningrad (now St Petersburg) and Montreal via Tilbury for Russia’s Baltic Shipping Company. She operated Transatlantic, as well as offering cruises from Montreal and European ports, between 1965 and 1980, but was moved elsewhere after the Soviet invasion of Afghanistan in December 1979, and became Marco Polo in a complete rebuild in Greece in 1993. On her 50th Anniversary cruise to Montreal, no fewer than seventeen days will be spent in Eastern Canada, including Newfoundland, Nova Scotia and Prince Edward Island as well as the St Lawrence ports of Québec and Montreal. The Astor, meanwhile, has recently completed her first of three seasons for Cruise & Maritime Voyages in Fremantle and is now back trading in the German market for Transocean Cruises, an operation that Cruise & Maritime Voyages took over last year. The Astor sails on yet another liner voyage on November 5, when she departs Tilbury for Cape Town and Fremantle, and will return from Fremantle to Tilbury next April. Space is available to or from either Cape Town or Fremantle and also between Cape Town and Fremantle. Included in the Transocean takeover were four river cruise ships and after the success of its 2014 season, Cruise & Maritime will be chartering three vessels in 2015 and offering a wider range of river itineraries to the Danube, the Rhine & Dutch Waterways, the Rhine & Switzerland, the Rhine & Moselle and the Rhone & Saone as well as Christmas markets sailings. All three of Cruise & Maritime’s ocean ships were built as ocean liners, the Athena and Marco Polo having been built for the North Atlantic trade and Astor for South Africa, although she went instead into service as a cruise ship when introduced in 1987. Cunard Line’s Queen Elizabeth, which was christened by Queen Elizabeth II at Southampton on October 11, 2010, emerged last month from her first major refit, which lasted twenty days in May at Blohm & Voss shipyard at Hamburg. Queen Elizabeth followed Aida Cruises’ AidaLuna on to the dock at Blohm & Voss, where that ship had similar work done with the exception of the addition of single cabins. About 950 contractors worked with ship’s staff round the clock to complete the work in time, drinking 89,300 cups of coffee and tea and 9,000 litres of water, and consuming more than 80,000 meals The major project involved 265,000 hours of labour. The 2,068-berth ship has received more than 269,000 sq ft of new carpeting, more than 3000 new mattresses and 1,200 flat screen TV’s of 32 inches and above. The ship’s revamp has also included nine new single staterooms on Deck 2 amidships, which were gained by remodeling part of the casino. Eight of these are a new grade of outside cabin, and the ninth is a standard Inside. 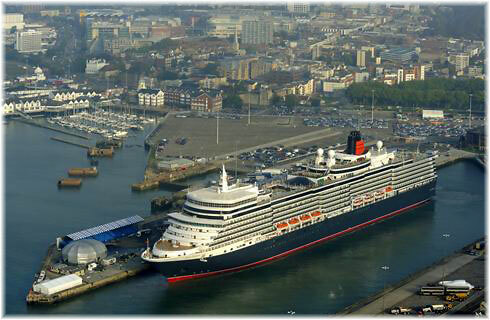 Queen Elizabeth is the first Cunard ship since QE2 to offer single cabins. A special singles program has also been developed for use on board all three Cunard ships. Awnings have been added on the open area near the Lido pool aft on Deck 9 and on both sides of the Grills Upper Terrace atop the ship to offer more shade on deck. The Lido restaurant has been remodeled and the Royal Arcade shopping area expanded in area, with new fine jewellery and watch shops. As well, the layout and lighting are being enhanced. A new dedicated photo studio will enable the ship’s photographers to offer better portrait services, while the addition of touch screens in the gallery will make it easier for passengers to find their own photos. On the technical front, scrubber technology has been installed to reduce emissions of sulphur oxides by about 90% by washing unwanted pollutants from the ship’s exhaust gases. Meanwhile, last Friday, July 4, 2014, the Queen christened the second ship to carry her name within less than three years, This one, of course, is HMS Queen Elizabeth, the Royal Navy aircraft carrier that it has been officially announced will last for fifty years. This is curious news, seeing as no British aircraft carrier has ever lasted anything like that long. Its first, HMS Argus, lasted 32 years. The first Ark Royal, which was sunk in the Second World War, lasted three, the second Ark Royal 37 and the third 27. The most recent HMS Invincible lasted 30 years while HMS Illustrious, now an assault ship, was completed 32 years ago. The average lifespan of the twenty-seven serving Royal Navy aircraft carriers that did not become war losses comes to only 19 years. Whoever put the British prime minister up to saying HMS Queen Elizabeth would last fifty years, one suspects that it is being used to lessen the effect of cost overruns by spreading the cost out over a much longer period. But back to Cunard’s Queen Elizabeth, she is now sailing in the Mediterranean, where she is based this summer, instead of sailing from Southampton as in past years.